Finger picking guitar, mandolin and fiddle playing songs and tunes from the American tradition. Richard and Alan met in Cornwall about 12 years ago and have been playing together off and on since then. In their formative years both were strongly influenced by the exciting guitar music and singing of Doc and Merle Watson from North Carolina. They also absorbed 1920s recordings by old time stringbands such as Charlie Poole's North Carolina Ramblers, from whom the Watsons had also learned some of their repertoire. Most of the songs and tunes on this album are drawn directly or indirectly from these and similar sources. Less familiar may be the combination of clawhammer guitar with bluegrass-derived mandolin and (sort of) old time fiddle. We like the sound but it wasn't deliberate – it's just what we do. Richard Plank, originally from London, has been a key figure in Cornish musical life for many years, and has worked and recorded with several other prominent performers including Guy Charles. In recent years he has toured twice in the UK with Doc Watson's long-term guitar partner Jack Lawrence. He spends part of his time renovating old houses and their gardens. His distinguished career as an abstract artist, on hold in recent years, is currently undergoing a revival in London galleries including the Royal Academy. 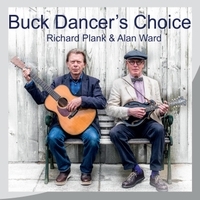 Alan Ward was brought up in Liverpool and has played various types of music in several bands, most recently in the ground-breaking UK bluegrass band A Band Like Alice. He was a leading figure in UK sound archives, latterly as a manager at the British Library, but gave this up in favour of renovating old houses; and playing music.